Hibiscus Print Parasols. Use these tropical parasols to decorate your patio! You’ll be ready for a luau in no time. 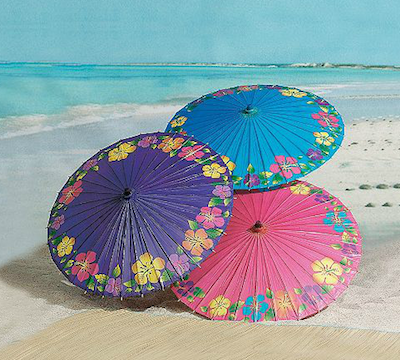 These colorful 32" paper hibiscus print parasols each include a bamboo handle. Price per parasol. Colors subject to availability.